The Toronto Raptors and Orlando Magic look to stay hot as they open up the 2019 NBA Playoffs with Game 1 on Saturday. The Magic (42-40) have won four in a row and 11 of their last 13, while the Raptors (58-24) have won two straight and seven of their last eight. Tip-off from Scotiabank Arena in Toronto is set for 5 p.m. ET. This will be just the second NBA playoff series between the teams. The first was in the first round of the 2008 postseason, which Orlando won 4-1. Toronto is an 8.5-point favorite in the latest Magic vs. Raptors odds and listed at -400 on the money line (risk $400 to win $100), while the over-under is 216. 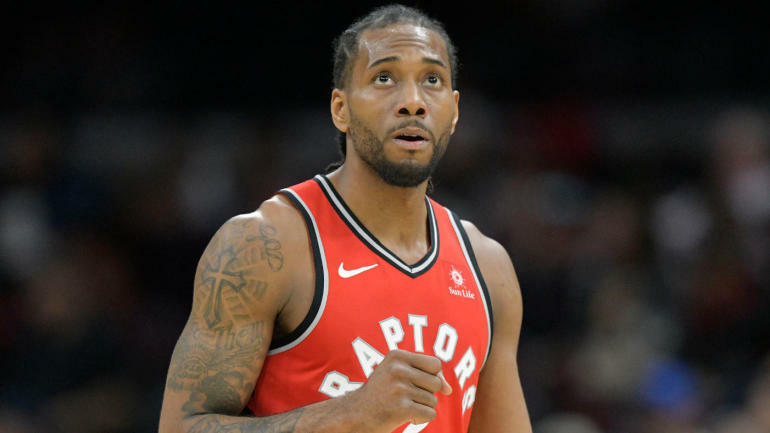 Before making any Magic vs. Raptors picks of your own, you need to see what the SportsLine Projection Model has to say. The model, which simulates every game 10,000 times, is crushing its NBA picks. It entered Week 26 of the 2018-19 NBA season with a sterling 292-234 record on all top-rated picks, returning over $4,000 in profit to anybody following them. And it has been particularly red-hot on its A-rated NBA picks against the spread, entering Week 26 on a strong 76-59 run. Anybody who has followed it is way up. Now the model has dialed in on Magic vs. Raptors. We can tell you it’s leaning under, and it’s also generated a strong against the spread that cashes in 60 percent of simulations. That one is available exclusively at SportsLine. The model knows the Raptors enter the NBA Playoffs 2019 with a dominant home record, going 32-9 at Scotiabank Arena. Toronto is 36-16 against Eastern Conference foes and leads the all-time series against the Magic, 46-39. The Raptors hold a statistical edge over the Magic in several categories, including scoring (114.4 points per game to 107.1), field goal percentage (.474 to .453) and 3-point percentage (.366 to .356). Toronto is led in scoring by guard-forward Kawhi Leonard (26.6 points per game), who has recorded 1,596 points this season, the third time he has hit 1,500. Forward-center Serge Ibaka has also been red hot, scoring at least 20 points in three of the last five games. But just because Toronto is coming in hot doesn’t mean it’ll cover the Magic vs. Raptors spread in Game 1 of the NBA Playoffs 2019 on Saturday. That’s because Orlando has had success against the Raptors this season, splitting the series 2-2, including the two meetings at Toronto. The Magic, who are making their 15th playoff appearance in team history and first since 2012, won the Southeast Division title. Their 42 wins are a 17-game improvement from last season, when the Magic finished 25-57. It’s the second-largest win improvement in Orlando history. Forward-center Nikola Vucevic is averaging 26.3 points over the last three games with four straight double-doubles. Guard-forward Terrence Ross has also been a key contributor for the Magic, averaging 27.25 points over the past four games.